Tweeps React To Oprah Being Disappointed That She’s Not Zulu. The video shows the interviewer giving Oprah Winfrey her DNA results. 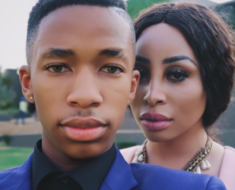 A video showing the mother of the entertainment industry realising she is not an isiZulu speaking person surfaced on the internet. 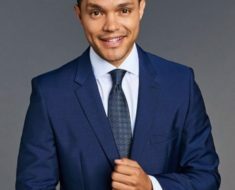 The video that was posted by a tweep was of Oprah Winfrey being interviewed on a DNA TV show called African American Lives. 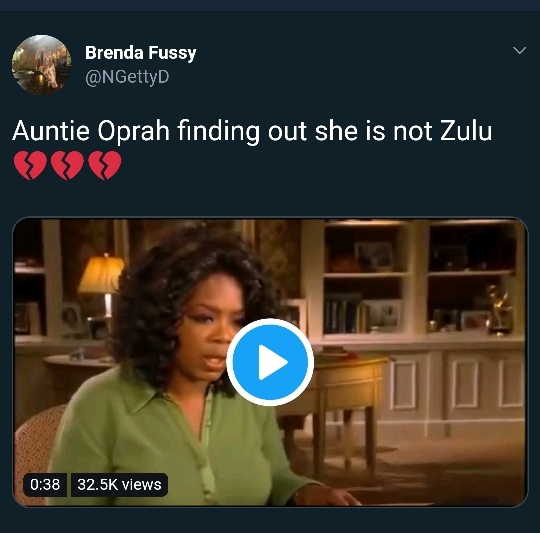 The tweep captioned the video “Auntie Oprah finding out she is not Zulu. The video shows the interviewer giving Oprah Winfrey her DNA results. 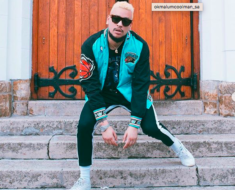 When the interviewer the DNA results he told her that she is not Zulu because no African American slaves were people who resided in South Africa. 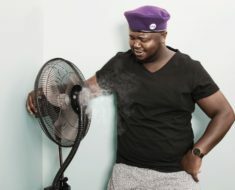 He also told her that he also thought that he was part of the Yoruba tribe but he also found out that he does not have the Yoruba blood. 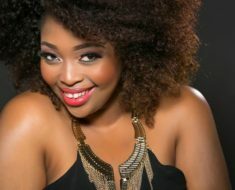 The interviewer also told her that she could be spiritually be an isiZulu person but she does not have the blood. He also told her that he is also spiritually Yoruba but he is not of the Yoruba descent. 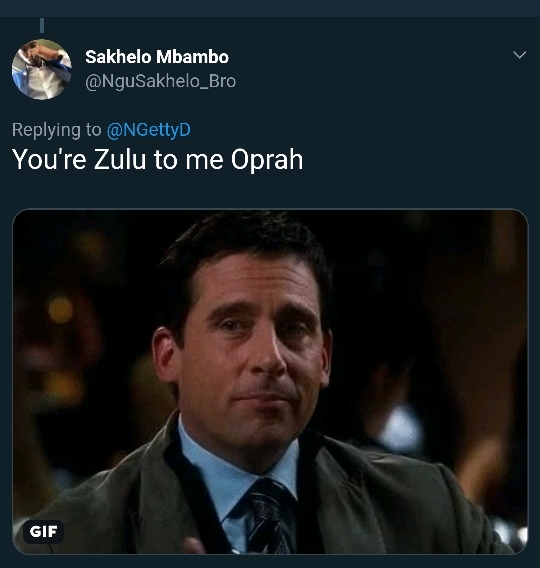 Tweeps reacted to the disappointment of Oprah not being an of the isiZulu tribe. 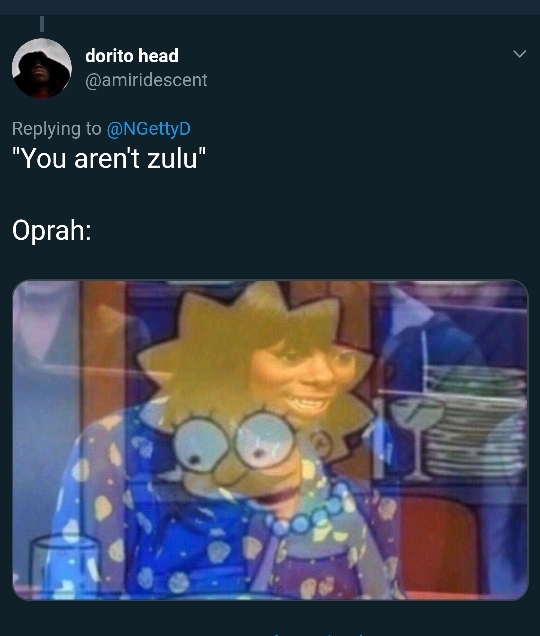 Some of the tweeps posted memes to show how disappointed Oprah was to hear that she wasn’t an isiZulu person. Other tweeps were speaking about how disappointed by hearing that she is not of the isiZulu tribe, with other tweeps moving her to their own tribes. One tweep says, “You’re Zulu to me Oprah” With another tweep says, “Auntie Oprah is Tsonga not Zulu, wavulavula” Some tweeps were also happy that Oprah thought she was an isiZulu person.